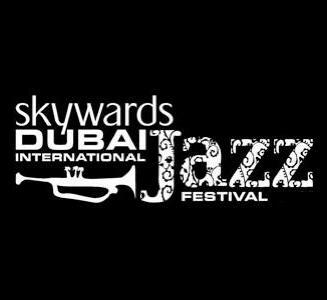 Dubai Jazz Festival has been taking place and entertaining people with a taste for Jazz music for over 10 years. With an ambiance that will relax you and seating that will take you in its embrace, the festival has consistently been a hit among jazz lovers. The music is coupled with delicious food that will delight anyone’s taste buds. It is not just the residents of Dubai who anxiously wait for the festival to be held each year but many people from other emirates are also seen attending it in large numbers. So far, over 300,000 people have been a part of the festival’s audience. A large number of festivals have started taking place in Dubai. Music has received special attention because it reflects the diversity Dubai offers. As they say, “Music knows no boundaries”. It was felt that Jazz music is being neglected and so, 'Much more than jazz' came up after 2 years of research and hard work. This was the foundation of what would soon become the Dubai Jazz Festival. The first edition of the festival was in the year 2003, and since then it hasn’t looked back. - The festival has a great lineup of legendary jazz musicians. - It has a dedicated food and drinks area. - Live gigs are arranged in which international Jazz musicians as well as local performers are lined up to perform. - Different concerts are arranged each night the festival is held. The tickets can be bought online once the registrations open. Although they are closed for the 2014 festival, but you can register yourself through this link once they’re open. They can also be bought on the gate when you go to the festival. It is an almost week long festival with performances lined up for each day. The festival is held on different dates each year. In 2014 it was between 13th and 20th of February. This year's event was held in Dubai Festival City but the location may change in the succeeding editions.